Botrytis cinerea is regarded as the most serious cause of spoilage in table grapes. In the early stages of invasion, the fungus develops on stems and inside the berry; later growth then expands rapidly through tight bunches where humidity is high and large “nests” of rot may quickly develop. Infection by black Aspergillus species, Asp. niger, Asp. carbonarius, and Asp. aculeatus, occurs on damaged grapes in warmer climates. This damage may result from insect or mechanical penetration, splitting due to rain before harvest, or infection by pathogenic fungi such as Botrytis and Rhizopus, Penicillium species do not usually attack grapes, before harvest, but are common in stored grapes. 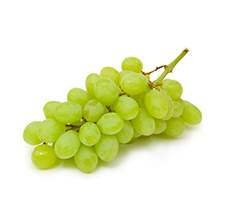 Befresh™ GP has been shown useful for the treatment of fungus in grape.